Home » Uncategorized » Live & Online Pokies Loyalty Programs: Rewarding or Shameful? If I sign up for a rewards card at the local electronics shop and spend a few hundred dollars on merchandise, there’s a good chance I’ll get a coupon in the mail, or $5-$10 off my next purchase. If I play live or online pokies and earn enough comp points, I’ll be similarly rewarded. So why is it the NSW government is so dead-set against the latter? According to anti-pokies campaigners like Senator Nick Xenophon, offering ‘inducements’ to play pokies is exploiting problem gamblers. Aren’t club cards for grocery and department stores doing the same thing, encouraging shop-o-holics to purchase more than they need just for a few perks? Isn’t a half-price sale on candy inducing the public to buy more junk food than is healthy to consume? 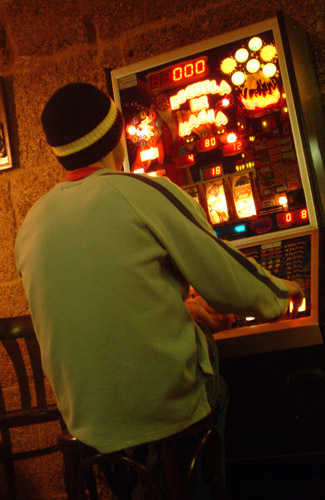 Xenophon and his team of anti-pokies campaigners – affectionately termed Nick Xenophon Team, or NXT – has been preaching the degenerative use of poker machines for a while now, and he’s found a new target to aim his arguments in Dee Why RSL. The location is one of the largest RSL clubs in all of NSW, and like every other local club and online pokies venue, it offers its members a loyalty rewards program. Punters who generate enough status points in a 6-month period become members of the RSL’s Platinum or Diamond level VIP club. The highest Diamond status requires a player generate 30,000 status points in a 6-month period, which equates to $150,000 in wagers. Achieving such a high rank entitles the punter to special perks, like reserved parking, red carpet entry to the gaming area, 80% off all food and beverage purchases, plus “personalised hosting” services. Some say the 80-year-old Dee Why is becoming no different than Star City casino. That would make sense, after all, as its Gaming and IT Manager, Arran Hodkisnon, is a former business manager for The Star. But is there anything wrong with offering punters a rewards program? Online pokies operators do it all the time. They can’t dish up discounts on meals, or reserved parking spaces, but they can give punters the option of exchanging comp points for credits, bonuses and other valuable rewards. They insist that these loyalty schemes are only serving to proliferate gambling addiction, coercing people to spend more than they can afford on the pokies, just to gain the corresponding rewards. In truth, a problem gambler is an addict, and will continue to gamble whether there’s a loyalty program in place or not. Where they park their car or which door they enter the club is inconsequential. What they don’t mention is that the RSL club is following all local laws on the matter, including the provision of a self-exclusive service for at-risk gamblers. Dee Why CEO Grant Easterby said the club provides a “robust” care system, and that it’s providing customers with a “loyalty program, not an incentive” or inducement to keep wagering. Easterby went on to explain that only 8% of all money spent playing the pokies at his club is actually converted to losses. Spending $100 on an evening at the pokies only equates to an average loss of $8.